Madden NFL 08, 2007's ode to NFL football on videogame consoles, fits like an old glove. Gamers will be familiar with how the game plays and feels. But as usual, updated team rosters (with their inherent strengths and weaknesses), enhanced graphics, and new in-game features will keep you, the gamer, plenty interested. 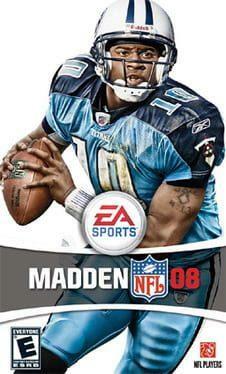 Madden NFL 08 is available from 9.99 to 9.99 from 1 shops.